Eggs of any poultry species are highly perishable and their shelf life is severely restricted. The eggs of waterfowl (ducks, geese), intended for food purposes, it is recommended to store no more than weeks. Chicken in the fridge, you can save without fear for 30 days and quail - 60. Although sales can be found only chicken and quail eggs, in households, where they grow in addition to chickens and even ducks, turkeys, geese, also use their eggs as food. Of course, they can't compete on the number of eggs laid from chickens and quail, but in the season of oviposition there is a need to knowledge how properly and how long it is possible to ensure the safe storage of the eggs. The greatest egg production of all species of waterfowl are different ducks. However, like goose, duck eggs contain a lot of fat and are considered heavy food, is contraindicated in children and the elderly. They are often used in the food industry only in the production of confectionery products. Special care need these eggs even for the reason that they are more likely to other varieties of eggs being infected with Salmonella. And in bakery and confectionery products are baked at temperatures above 100 OS, harmful bacteria can be completely deactivated. Experts recommend to keep raw duck and goose eggs in the refrigerator no longer than a week. Thus it is better to place them separately from the chicken. The high throughput of the shell and cleanliness, which did not differ in eggs of waterfowl, do not give the opportunity to increase their shelf life. Optimum storage temperature (between + 2 to +12 degrees with a humidity of 85-90%) also affects the shelf life of eggs, the smallest imperfection of the shell significantly reduces. 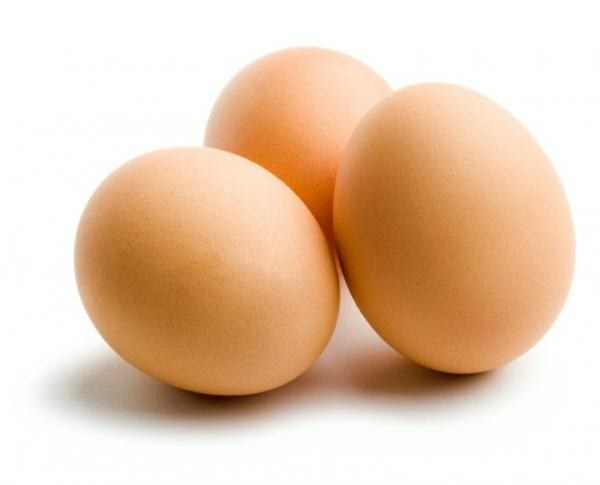 Chicken eggs are considered the main commercial unit on the market for this product, therefore the shelf life, storage conditions, categories, and requirements of the standard clearly States the GOST - Р51074. Eggs stored in proper conditions, no more than a week, belong to the category of diet. Not implemented during this period are referred to as Cutlery. For kitchens shelf life is 25 days, while the storage temperature should be 0-20 OS at a relative humidity of 85-88%. On an industrial scale in special refrigeration chambers at a temperature of -2–0 allowed storage of eggs for three months. They will be referred to chilled. In a home refrigerator eggs is better not to keep longer than 1.5 months. If the eggs are eaten raw, then you need to be sure that they diet. The shelf life of boiled eggs in shell shall be calculated by the week, and the egg salad for 2-3 days. Quail eggs are considered the most useful, safe from Salmonella and stored for a long time. In the refrigerator they can be up to 60 days, and at room temperature – 30. This is due to the presence in quail eggs substance – lysozyme that prevent the occurrence of harmful bacteria. Still, any eggs are perishable products, and even quail experts do not recommend keeping in the fridge longer than a month. If they are not rotten, the contents in this period lost a significant proportion of the moisture which escapes through the pores of the shell. These eggs are lighter weight and less useful. To check the suitability of eggs for human consumption, you can use a simple method – immersion in water. Full-the egg will fall to the bottom, stored for a long time or even slightly the most intriguing moment comes up. If the egg floats, then it is better to throw. You need to make a rule, break the egg first, in some capacity, and then to send in the dishes for kneading dough or cooking omelets. When the retention time was running out, renew it at least for a week, you can cook hard boiled eggs. Of course, eggs can be stored and up to 5 months, to ensure their stay in the preservative composition, making use of sea or cooking salt, lime water. Just need to be prepared for the fact that the eggs acquire a specific taste and will not be able to form a foam upon whipping.